Live in luxury! 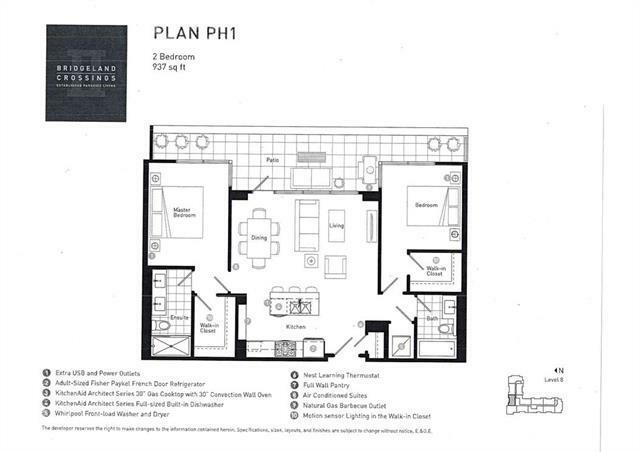 This brand new 2 bedroom & 2 bathroom PENTHOUSE boasts a large 220 sq ft deck. Imagine easy going park side living in one of the fastest growing communities. With your own private courtyard garden, relaxing outdoor patio lounge, convenient dog wash station, guest suite, fitness centre & yoga studio. 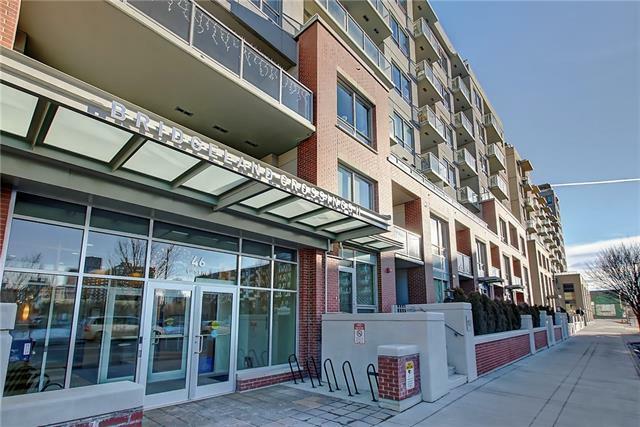 Its a natural choice for those who want the good life all within walking distance to the C-train and Calgarys best new shops and restaurants. This home features bold and beautiful finishes such as traditional white shaker style cabinets. 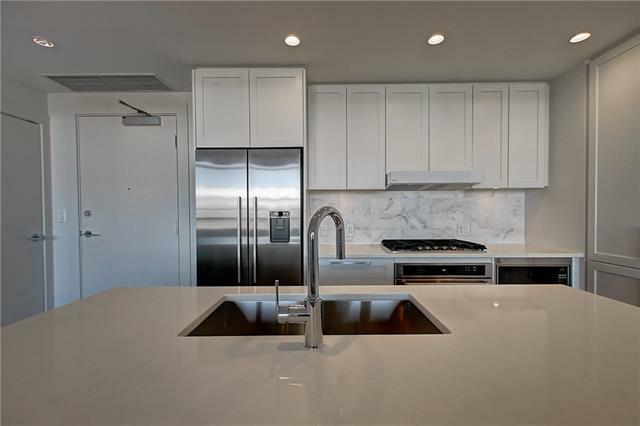 Stainless steel kitchen aid/fisher paykel appliances which include a gas stove top set the tone for an impressive gourmet space, perfect for everyday living and entertainment. Living spaces are simple chic and sophisticated, perfectly proportioned for a balanced life style. 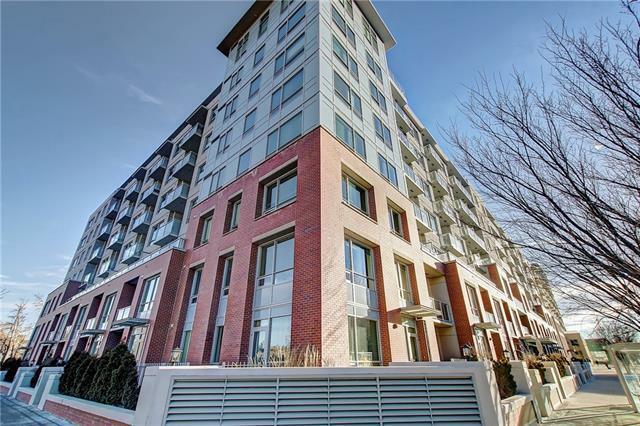 You will love the upscale finishes, environmentally smart technology, natural light and inspiring park view. A must-see!